Last night’s kirtan [with Lee Mirabai Harrington] was absolutely celestial. When chanting to the Divine takes me to that place where I can no longer tell whose voice is whose, including the sounds coming out of this mouth, when the boundaries are dissolved because the Shakti is flaming, THAT for me is the heart and soul, the pure rasa of kirtan. Then Lee’s layering of her beautiful improvs on the top was like sprinkling angel dust over us. Thank you! [BEYOND THE BEYOND] is a stellar first offering from a humble, compassionate, strong Goddess with a voice that shoots straight to the soul. 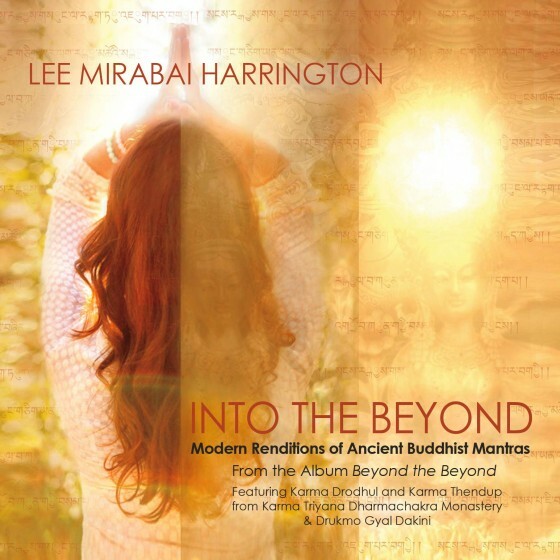 Lee Mirabai Harrington brings a spirited and devotion-infused approach to mantra singing. Her beautiful voice and heart combine with the depth of the ancient healing mantras that she sings, to produce a magical experience for the listener. I love Lee’s kirtans and her new album! 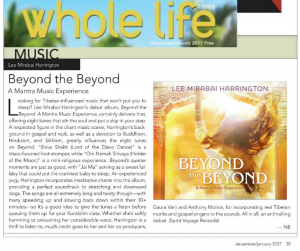 Lee Harrington has created one of the most beautiful kirtan CDS ever…[BEYOND THE BEYOND] is a great album…in a category of its own. 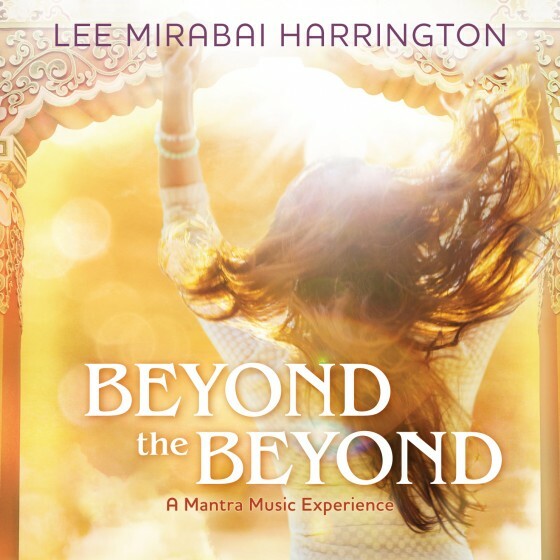 Lee Mirabai Harrington’s debut album, Beyond The Beyond, is a playful marriage of Kirtan with gospel, blues, and an undercurrent of jazz. The earthiness of her voice presents the listener with a grounded voyage of spirit. [Beyond the Beyond is] an impressive and dauntless debut album…stellar, earthy and deeply memorable. Lee Mirabai Harrington is one of the best-kept secrets in the chant world. Her debut album will take you deep into the placid waters of ancient Tibetan Buddhist mantras and lift you high with soaring call-and-response classics reinvented from Hindu and Sikh traditions. A CD for all ages; timeless, mesmerizing, healing, transcendent…superbly produced and featuring some of Western kirtan’s most beloved musicians. Get in on the secret, and Go Beyond. [Beyond the Beyond is a] really splendid album combining mantras of different traditions. Great production! This much-anticipated debut album delivers a fun, soulful, eclectic and ultimately transcendent mix of mantra music from the Buddhist, Hindu and Sikh traditions in styles ranging from gospel to rock, traditional, disco and beyond. Known for her rich and powerful voice, Lee sings with devotion, dharma and love, bringing you into a space of devotion and joy! Dedicated to His Holiness the 17th Gyalwang Karmapa and featuring Lamas Karma Drodhul and Karma Thendup from Karma Triyana Dharmachakra monastery, this special limited­-edition EP from kirtan artist Lee Mirabai Harrington delivers high­-spirited renditions of ancient Tibetan Buddhist mantras. 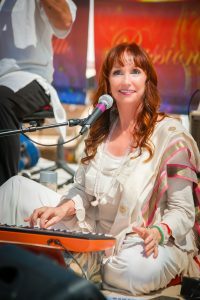 Known for her rich, powerful and deeply healing voice, Lee sings with devotion, Dharma and love. Sign up here for our infrequent but well-written newsletter. THANK YOU FOR VISITING THIS WEBSITE. MAY ALL BEINGS BENEFIT FROM THE VIBRATIONS OF THIS MANTRA MUSIC. Copyright © 2016 Lee Harrington - All Rights Reserved.